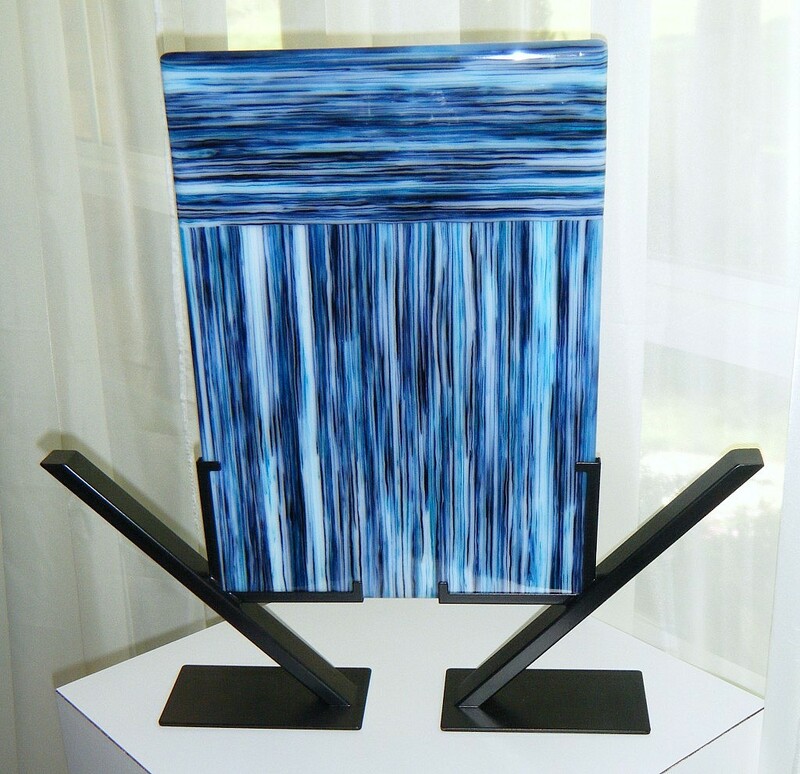 A series of art and artisan pieces utilizing the “on edge” fusing process in order to reveal the inner beauty of the sheet glass. 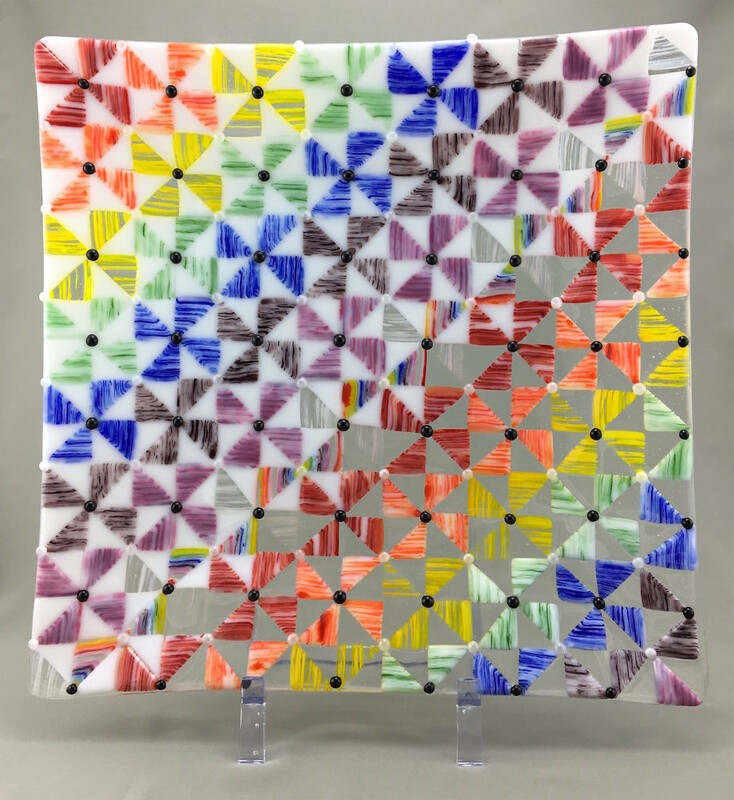 The process to create these pieces involves taking flat sheets of glass, cutting it into strips, and standing them on their edge in the kiln. The glass is damned to control the glass flow and insure the face of the glass fuses together. After fusing, the edges are cold-worked with a wet-belt sander. 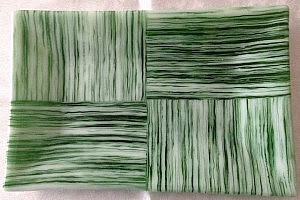 Finally, the glass is placed back in the kiln to be fire-polished and slumped. The “on edge” fusing reveals the inner beauty of the glass creating a truly unique and mesmerizing effect. pieces and white and black dots made from glass rods.